Mill Avenue: It is known far and wide by people of all walks of life. The iconic street has seen ups and downs, good times, more good times and even some bad times. It has history and it has a bright future. Here in Tempe, there’s always a ton of talk about what is happening “on Mill.” There’s no explanation needed, there are no directions to be given if you say you are going to a bar, restaurant, shop or event on Mill. EVERYONE knows exactly what you are talking about. 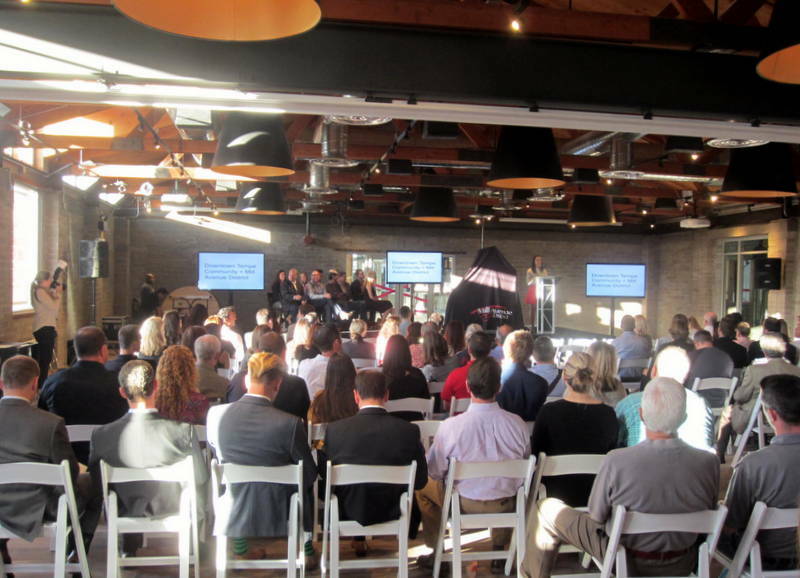 While some might not be huge fans of Mill Avenue and people in south Tempe whine about north Tempe getting all of the attention, resources and favor of our leaders, the reality is, the economic engine that is ( or was ) the Mill Avenue District paves the way for more growth in the city and in the region. 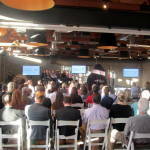 Last night, we heard city leaders talk about plans and the vision to re-brand the Mill Avenue District. A new logo, new marketing blitz and a fancy new web site have been put in place to tell people about Downtown Tempe. No longer will they market the Mill Avenue District. The future is all about the larger area of Downtown Tempe. They have been using the #TempeRising tag on all of the major social sites for you to follow along. Recently, we’ve seen some activity east of Mill Avenue where the House of Trick’s has been rocking it before anyone else really could. Some of this development may be in anticipation of the massive plans that ASU has for the area. For years there has also been talk of stretching the Mill Avenue District west over to the Farmer Arts District, but that has been SLOW coming. Sam Fox and a few others hope to change that as they open the super-cool Culinary Dropout at the Yard in Tempe. Fox restaurants is making an $11 million investment in getting people to come to the “other side of the tracks” west of Mill Avenue. The new venue opens next month joining The Madison and Over Easy. The Madison is a spin and yoga studio that is already open, and Over Easy is another great breakfast addition to the area that opens later this year. The venue will also have The Coop and The Showcase Room as places to hold special events. 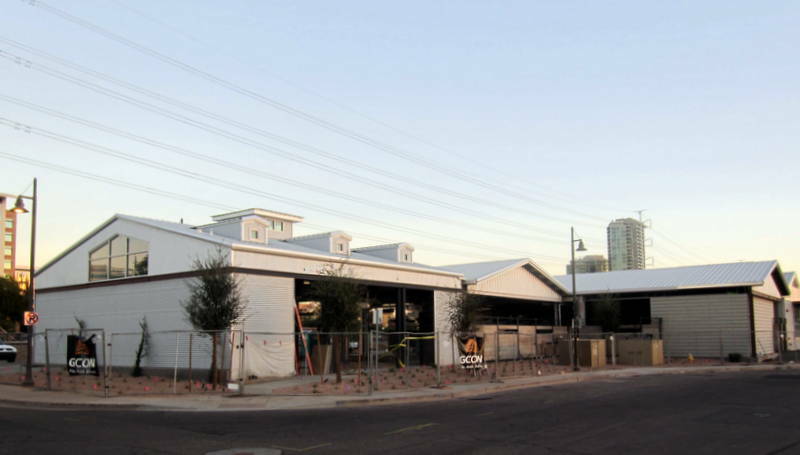 Like it or not, there’s a ton of change coming to the Downtown Tempe area. Thousands of new jobs are being added, BILLIONS of dollars are being invested in and around the area, and we’ll soon see a ton of new residents looking to enjoy the valley’s most urban lifestyle. The new Marina Heights and USA Place will certainly have an impact on Downtown Tempe, but they aren’t alone. We’ve seen a lot of other investment large and small. Soon our past will make way for other future projects. 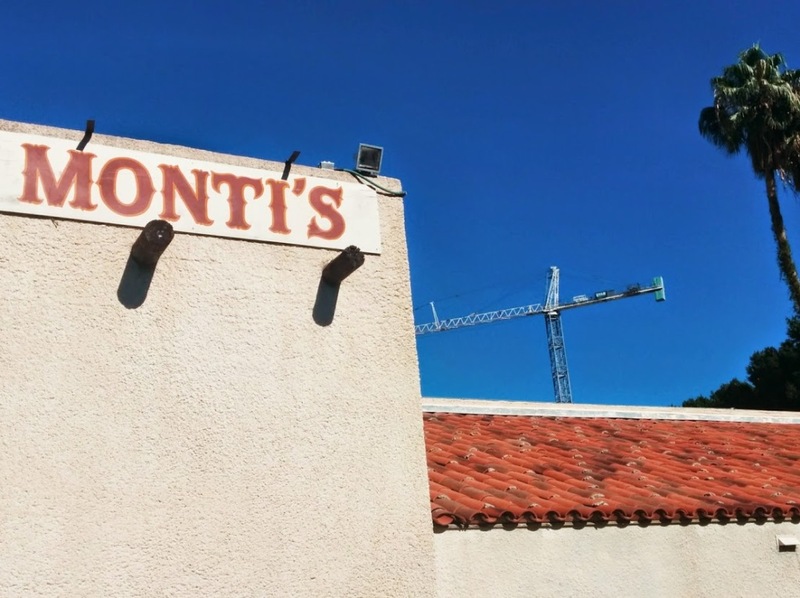 I shot this photo recently of a crane flying in the air near Monti’s La Casa Vieja. I thought it was a bit ironic since the famed restaurant has recently been sold, and cranes will soon be circling the air at 100 S Mill Avenue, where this historic building has stood for a VERY long time. Yes, part of the building is being preserved, but the future site will have some big shiny new additions. 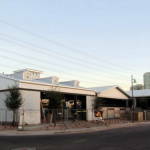 So, Mill Avenue is the new Downtown Tempe. 40 is the new 30 and life goes on. Call it what you want, change is constant and we’ll be watching. What do you think about re-branding of the new Downtown Tempe? I for one am excited. Yes, 40 is the new 30. The Mill Avenue District has recently become great again like it was in the ’90s. I’m hoping the ’10s will see that it becomes even better. I suggest people take a drive around the dt and see all that’s being built currently. It’s amazing. Have you worked with Nick and want to write a testimonial? Click here and write a testimonial for Nick.